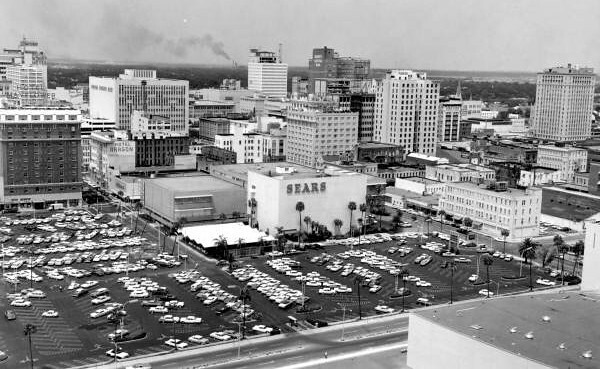 Five flagship downtown department stores that don't exist in Jacksonville anymore. Cohen Brothers was founded in 1867 by brothers Samuel and Morris Cohen. The store began as a small log cabin on Bay Street between Main and Ocean Streets. It wasn’t until their youngest brother Jacob joined the business that it would become the anchor pulling, retail core of downtown. In 1912, they opened a flagship 300,000 square foot department store on Hemming Park; the ninth largest in the country. In 1959 the company would be bought out by May Department Stores and would become May-Cohens. A declining downtown retail base and high cost to maintain the “Big Store” eventually led to its permanent closing in 1987. Over 40,000 shoppers attended the 1959 grand opening of West Bay Street’s Sears, Roebuck and Company store. This department store was a towering five stories and 260,000 square feet in size. The sheer retail space along with the fact that this location was home to the largest auto accessory department in the nature, gave this Sears its nickname—“The Cadillac Store.” This department store was also the first of its kind to feature a sit-down restaurant and a personal surface parking lot. By 1972 it was the leading location in volume of sales in the retail chain’s 13-state Southeast territory. However, downtown’s decline during the late 1970s and a chance to relocate to Regency Square Mall, led to the store’s closure in 1981. Ivey’s, or J.B. Ivey & Company, began in 1900 as a company in North Carolina. 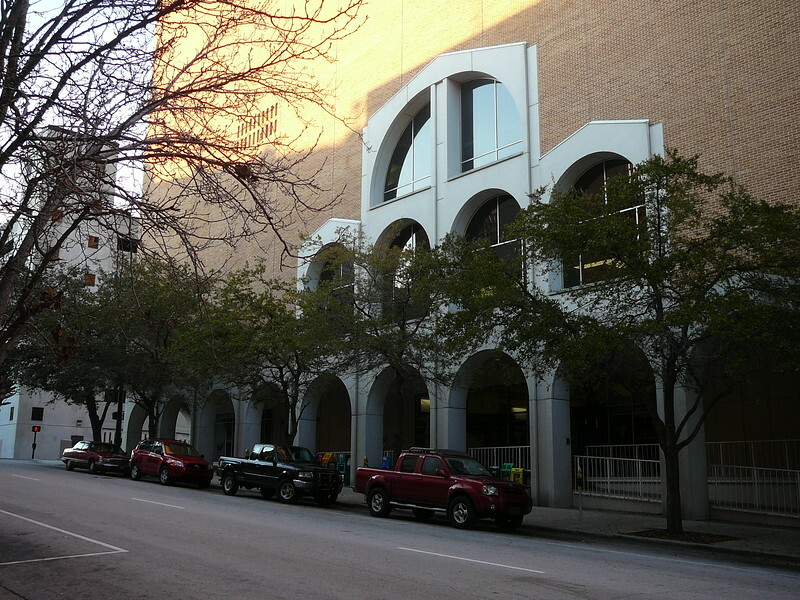 It would expand over the years, opening up in Jacksonville in 1962 as part of the Robert Jacobs Downtown Center development. Ivey’s was a six story, 180,000 square foot department store that featured a free parking garage and restaurant. It was the store’s first downtown location to open up in almost thirty years. During the 1970s, an enclosed multi-level retail galleria mall that connected the store with May-Cohens was proposed in an attempt to save downtown retail. However, that proposal would never become reality. Unfortunately, the conversion of Hemming Park to Hemming Plaza hurt business to the point that Ivey’s closed their doors in downtown for good on July 13, 1985.